Picnics are a hit at Creekside Grove! Why choose an ordinary picnic grove when you can get so much more? Creekside Grove offers 7 landscaped acres including free parking and a large, modern pavilion featuring clean, heated bathrooms. The ability to bring your own caterer, or even self-cater, offers something for every budget and theme. When not eating or drinking, your guests will have a wide range of recreation activities to choose from. A volleyball court, regulation basketball halfcourt, regulation softball field and horseshoe pits are available on-site. 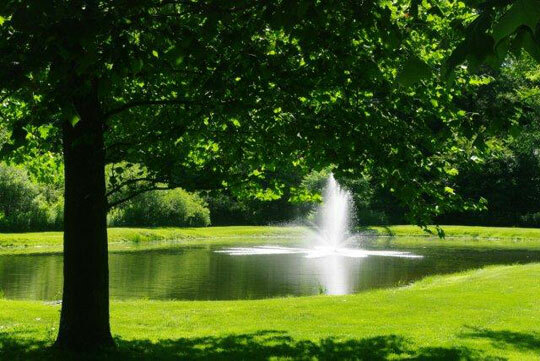 Your guests may also fish our pond or the Tunkhannock Creek, stroll around our landscaped grove, or come up with their own activities in our spacious fields. Or they can simply relax in the pavilion and watch cable TV.